Erte (1892-1990), "Memories" Limited Edition Serigraph, Numbered and Hand Signed with Certificate of Authenticity. $3,000.00 $1,300.00 Only 5 Left! 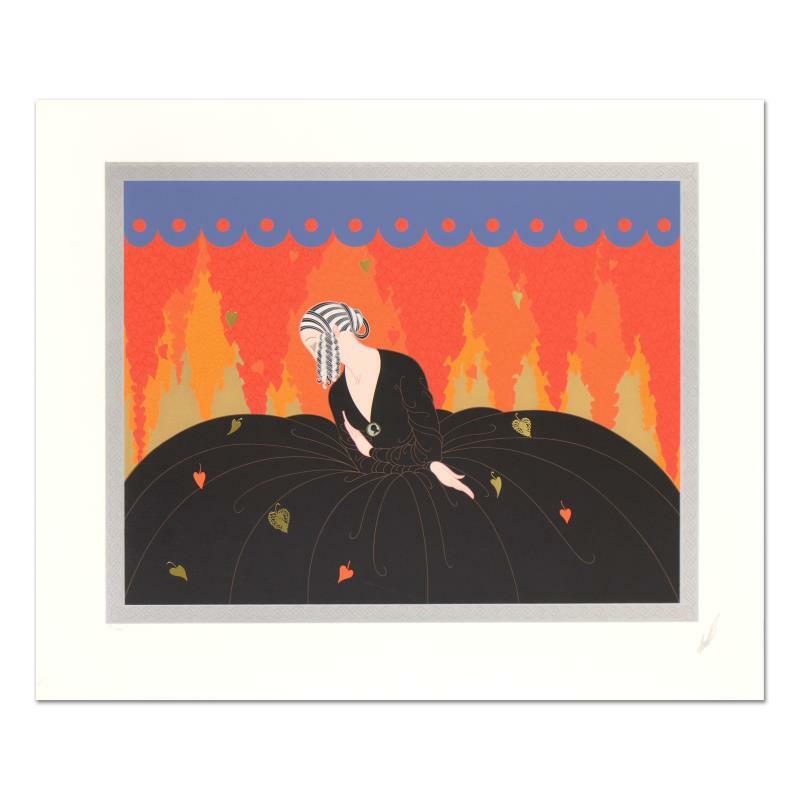 "Memories" is a limited edition serigraph on paper by Erte (1892-1990), numbered and hand signed by the artist. Includes Certificate of Authenticity. Measures approx. 31.5" x 26" (border), 25.5" x 20" (image). Due to the age of this piece and the delicate nature of the paper it may have some slight imperfections.